It was a restaurant where F. Scott Fitzgerald had a tryst with a woman in a booth — supposedly. It was a bar with front steps that were built expressly to trip up Prohibition-era policemen who would periodically rush in to spoil the party — maybe. And it had bootlegging tunnels that led from inside the bar far out into the street — probably not. This particular Greenwich Village haunt is clad in decades of lore, and it can sometimes be difficult to paw through the embellishment or outright fiction. But some things are known for certain: it was a beloved literary hangout and a storied old place called Chumley’s, which opened as a speakeasy in the 1920s and was forced to close its doors in 2007 when the facade of its building tumbled in the street along with pieces of an adjoining building. After more than five years, the Department of Buildings has declared that the building, 86 Bedford Street — the last of five structures involved in the collapse to be rebuilt — is structurally sound, and the department has passed responsibility for the parcel from its forensic engineering unit, which oversees the most dangerous and difficult projects, to the divisions that oversee standard construction sites as the owner finishes the inside. “This was one of the most difficult jobs I’ve done, and I do this all the time,” said Timothy Lynch, the executive director of the forensic unit. For everybody involved, it has been a long, long road. (“Two of my three kids weren’t even born when this place collapsed,” said Jim Miller, managing partner of Chumley’s, who pays a few thousand dollars every year to keep the bar’s furniture and mementos in storage.) But on the upside, Chumley’s still has about 75 years left on its 99-year lease. When the reconstruction process began, these five buildings at the corner of Bedford and Barrow Streets were so interconnected and so decrepit that putting them back together was far more complicated than starting from scratch, Mr. Lynch explained. There was no stable structure to which a weakened wall might be secured. The footprint of the buildings was so small that there was nowhere to put a big staging area, or even many construction workers. And the number of agencies involved — the Landmarks Preservation Commission, tenants’ rights groups, even the parks department when a nearby tree was threatened — made the bureaucracy a behemoth. Ms. Streicker Porres bought the five low-slung buildings in 2005 for $6.9 million, when they were all on a single city parcel and filled with a hodgepodge of tiny rental apartments. 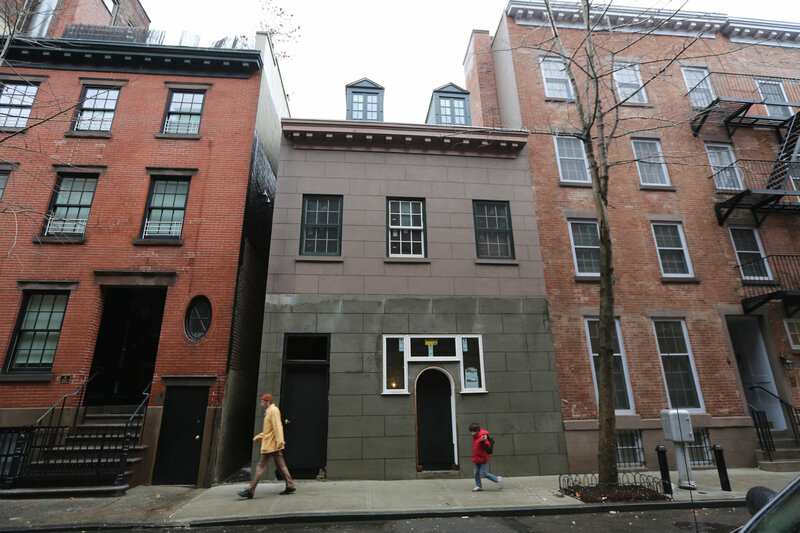 The buildings had had almost no maintenance in years, according to the Buildings Department, and by the end of 2005, the facade of Chumley’s home, 86 Bedford Street, was wrapped in steel cables to try to keep it secure. The next year, Ms. Streicker Porres said, the chimney of 84 Bedford began to collapse. Then in April 2007, the big one came. No one was hurt, but the stress forced Ms. Streicker Porres, who was pregnant with her daughter, into labor. “I had to walk over to Hudson and hail a cab,” she said. After the collapse, two of the buildings, including the one housing Chumley’s, had to be rebuilt from the ground up. And while portions of the exteriors could be saved on the other three buildings (two of which have since been combined), almost everything else had to be reconstructed. All of this was done to specifications laid out by the landmarks commission. In 1926 Lee Chumley bought 86 Bedford and remodeled it to look like a garage. So, as with any good speakeasy, the first floor had almost no windows. Though it was built in 1831, John Weiss, the landmarks agency’s deputy general counsel, said the commission thought it should be rebuilt as it looked during Prohibition. “It was a monumental undertaking for the owner,” Mr. Lynch said. 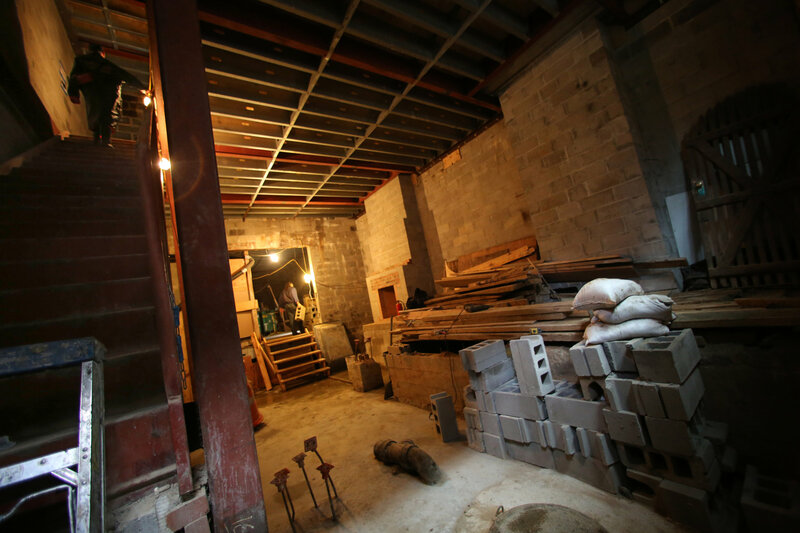 “Many times we take on a project, and the owner doesn’t stick with it,” he continued. Today, 84 Bedford is an expensive condominium building, where several one-bedroom walk-ups sold for over $1 million in 2012, and 56 Barrow is a single-family home. 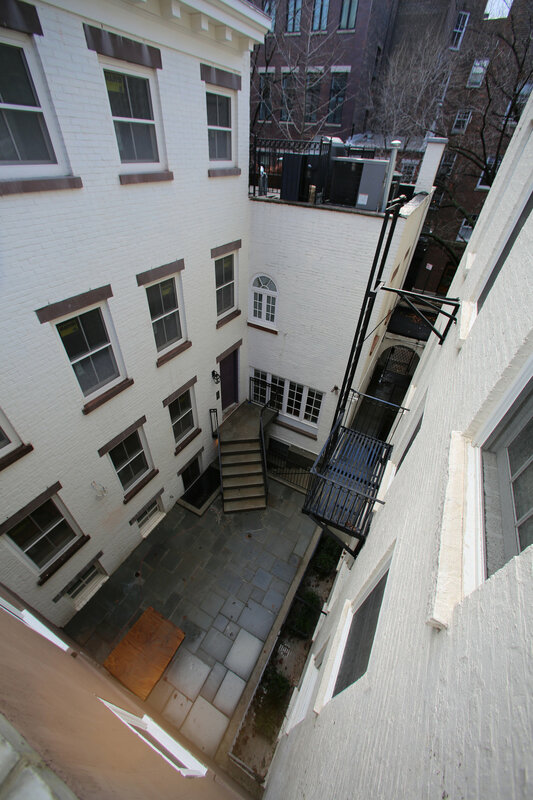 A town house at 58 Barrow, with an apartment at the bottom, is being listed this week with the Young Group at Brown Harris Stevens for $3.95 million. But 86 Bedford remains in limbo. “This is in what we’ll call the political stage,” Ms. Streicker Porres said. Because the bar has been closed for so many years, it will need city permission to reclaim its status as a bar and restaurant grandfathered into a sleepy, residential street. After years of construction delays and vanishing target dates, nobody is eager to guess when this might happen, but city officials say they are optimistic that the bar will eventually be approved. For now, the building stands bare, dim and chilly inside. The hundreds of book jackets that had warmed the restaurant’s walls sit in climate-controlled storage units in the meantime. “You’d walk through an alley, push through a door, and there’d be a party going on from the 1920s,” Mr. Miller, a firefighter in Manhattan, said of the place he stewards. Because of an editing error, an earlier version of a caption with this article misstated the location of the old Chumley’s building. It is on Bedford Street, not Avenue.